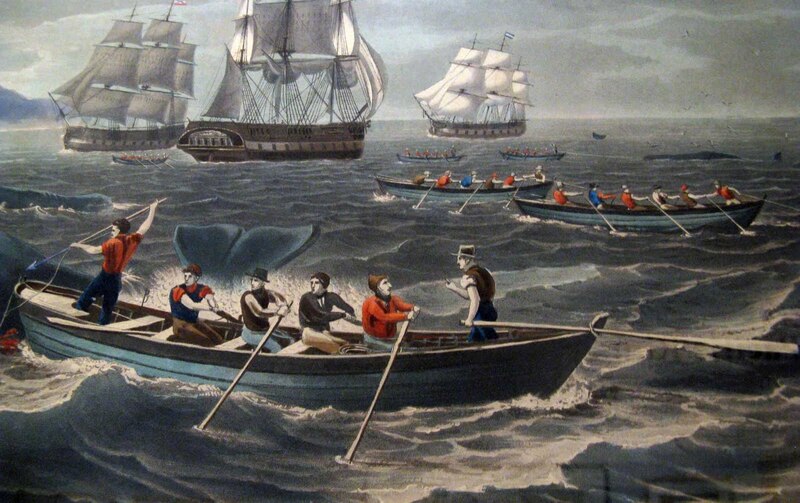 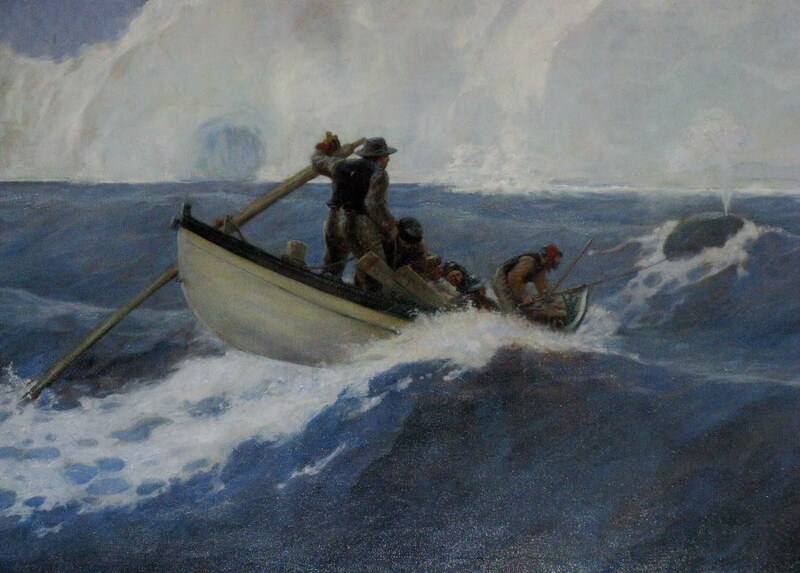 Details of paintings, mostly unmarked, from the New Bedford Whaling Museum. 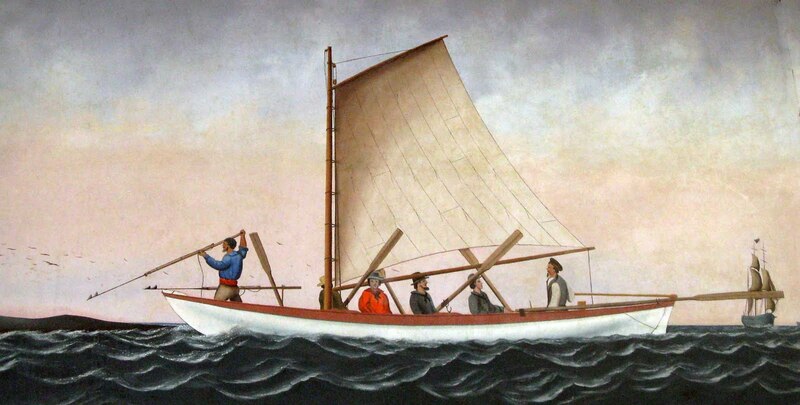 There seems to be a great deal of variation in colors, strakes, build and conformation in boats from different builders as well as in the imaginations of the artists. 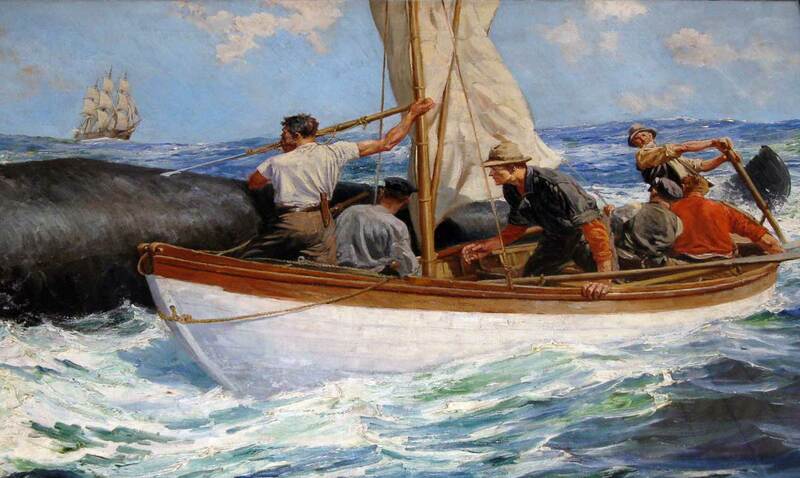 The last boat looks very much like the whaleboat in the museum's collection.